I flew into Reagan Washington National Airport and changed planes for the second leg of my flight to Providence Rhode Island. Taking off from the airport gave me this cool view. 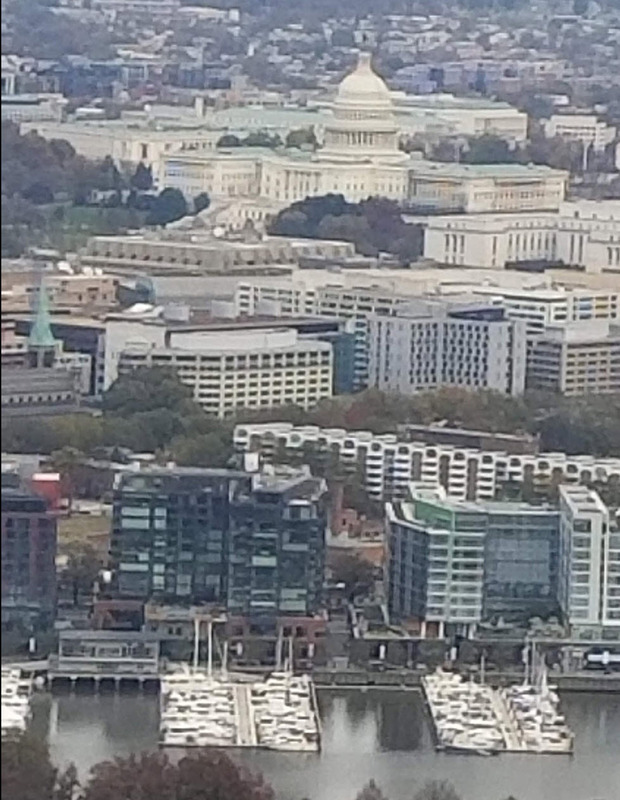 Above are the Washington Monument and the National Mall lined by the Smithsonian National Museum with the United States Capitol Building at the far end. The White House is just off of the Ellipse on the left side of the image. You can’t see the Lincoln Memorial or the Reflecting Pool. Click to enlarge. If you leave politics and traffic out of it, I love DC. Been quite a few times. I’ve been a couple of times. Never had enough time to explore it thoroughly though.